Seventh Crow Records presents a dark and utterly gloomy compilation of seventeen different bands; all summon grim realizations through somber romantic songs and enthusiastic militant calls. I have already written about Death of a Dryad, and about Opium Dream Estate, and this compilation gave me the chance to be introduced to other artists in this grim field of music. I think my favorite track is “Lancelot & Elaine”, as it drew me into its thin arms with bittersweet melancholia, manifested in soft singing that is wrapped inside sincere guitar strings. 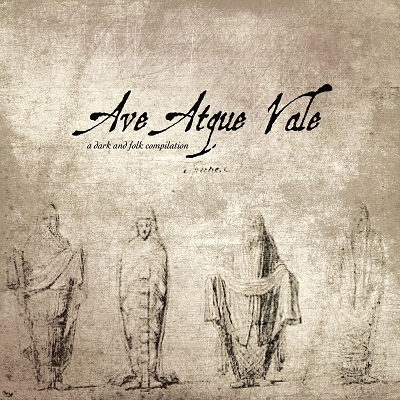 I am not sure if “Ave Atque Vale” is the perfect album for days that are at least planned to be good days, but otherwise – you should check it out if you are even remotely into music that is a soundtrack for desperation.